We specialise in creating the highest quality fine art and photographic reproductions from original artwork using state of the art printing techniques. At LePrint we specialise in creating the highest quality fine art/photographic reproductions from original artwork (preferred) or your own digital file (tiff,or jpeg). Using a selection of museum quality media, that meets The Fine Art Trade Guild requirements, any size of original water-colour, oil ,pastel or photographic image can be reproduced as a Limited Edition Fine Art Print. After a one-off set-up fee per scanned and colour corrected image (from £20 depending on image size and quantity of prints required) prints can be ordered in the future,on demand, to the Artists' requirements (minimum of five A4 or A3). Please note that some heavy oil pictures could require photographic reproduction at a slightly higher cost.There is no set up fee for images supplied on digital file Prints are created using Epson Ultrachrome HDR inks to ensure long life. 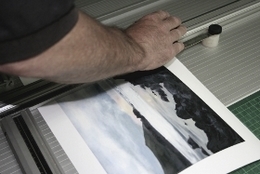 Giclée printing offers the highest degree of accuracy and richness of colour available. Giclée Canvas Prints on 100% pure cotton canvas are ideal for the reproduction of your photographs or paintings and give added value to your artwork. Prints on canvas have an extra protective coating to ensure there is no damage from scratching or splashes and for greater UV stability. Please contact us for prices for this service. We now provide an in house service to stretch your printed canvas' of any size, from small up to 48 ins . Canvas' are stretched onto quality pine bars of various depths.Cross bars are fitted to larger canves' to provide extra stability. Two coats of Giclle varnish are applied for ultimate protection .Ideal for both Fine Art and Photographic images. 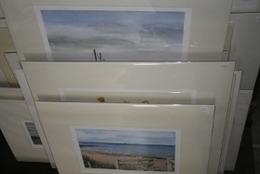 "Ultimate Giclee quality at competitive prices."